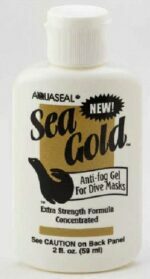 Awesome “old school” 1 lens mask for you to enjoy on your next dive. 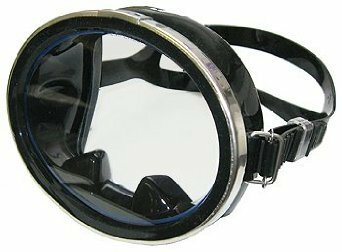 Features of this great mask include: 1 Window classic design Hard to find styling 1-window style for a large view Soft hypo-allergic silicone skirt and adjustable strap for a positive seal and long life Tempered glass lenses Adjustable silicone strap All black with metal trim! 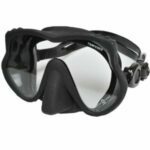 Be the the talk of your next dive with this CLASSIC scuba diving mask!